In this forum topic, the Brazilian hardware developers Tecnobytes have announced their latest project. After developing such things as V9990 powergraph, OPL4 Shockwave and the IDE Mapper they have now set their focus on developing a complete MSX Computer. Although little is known about its features, the machine is to contain both an OPL4 soundchip and a V9990, imposed in a V9958, resulting in something close to what-should-have-been the MSX3. More news, and hopefully pictures, are expected in the near future. We will make sure to keep you up to date about this interesting development. That sounds soooo good ! You can say that again! This is certainly one to keep an eye on. 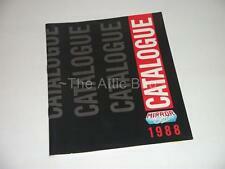 Wondering if other sound chips (SCC/MSX-AUDIO) are to be included as well. Way to go Tecnobytes! what about the compatibility of V9990 with v9958? I think it have to be a must !! Very nice project: a must to include SCC and MSX-Audio and price should be cheaper than OneChipMSX: what a quest ! To be honest I think that it'll not have any support. After a lot of time, GFX9000 has not any software, so what's going to change now? ... has only little software. There is some just not a lot. A project like this could boost coders to make something more for it. I think OPL4 came 4-5 years too late to have been realistic for MSX3. But it's a nice thing to have anyway. 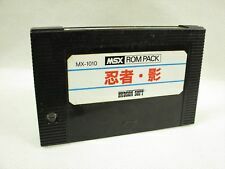 I think the best solution would be an MSX3 very similar to turbo-R and not so much more. PORT: VGA, Audio Out, USB/PS2 for PC Keyboard and PC Mouse, USB/FLOPPY 1,44Mb CONTROLLER for the FloppyDrive. 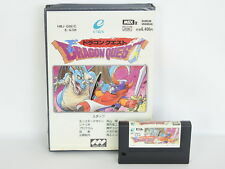 EXTRA FEATURES: Full compatibility with older MSX models, an Utility to load and execute Rom and MegaRom (Wonderful would be in SYMBOS), An utility to Mount a .DSK file as a virtual Floppy Drive. I think it is a great project. Using V9990 superimposed with V9958 allows a lot more than using a single video output to run v9958 or v9990 software, it allows you to use both at the same time, allowing z80 to send data to a vdp and while it is being processed by this vdp, he can send data to the other one. No more waiting for the VDP! Both vdps combined allows great games to be coded using even BASIC! I expect, if it doesn't make the project too expensive or complicated, that a 3rd vdp (might be a v9938, they are easier to find and are cheaper) might be added, so with 3 vdps amazing things can be done (again, even in Basic, Oazem from Tecnobytes made impressive snes quality demos with Basic with a similar configuration). Sounds great , but taking current costs of producing snigle batches of Powergraph & Shockvawe in consideration, can we expect a reasonable pricetag or it will be hi-spec and a damn expensive toy? =) Just curious. When it is not too expensive I am interested. It sounds really cool but .. an idea .. I think that we should create this "MSX3" machine with emulation, for example with OpenMSX and/or BlueMSX. 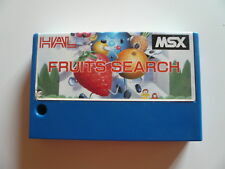 We could use MRC to decide what should be the best "MSX3" specification. This will be easy to do. With an emulated "MSX3" machine, coders and users could give support this new emulated platform. It all goes ok .. and MSX users are happy with it .. I think that offers the new hardware could have more sense. I think really What do you think about it? First, the z180 does not execute undocumented z80 instructions, quite often used in that era. Is there ANY more News on this new MSX Machine ?? Any idea of when it might come out ? V9990 VDP with V9958 Superimposed on top using an analogue switching/synchronizing circuit thus the Backplane graphics of a V9990 with the V9958 on top 100% compatible with MSX standard givivng TV output for PAL/NTSC to give retro Console feel. IDE for CF Card or HardDrive ( an SD card interface might be to 'Messy') ?? Z180 second CPU for Turbo mode with 512K+ SRAM and 512K EPROM with 'Tube' interface/expansion slot to possibly allow a 68000 CPU to be added. The only components that would be surface mount would probably be the V9900 and associated logic.